The Planetary Society's glorious tribute to Dr. Sagan, with some of his best friends. I know you're hearing a lot about this event. Forgive me for adding my own reflections. It was one of the greatest evenings of my professional life. I only wish we had a true video of it to share with you. At least you can hear the tribute and enjoy the synchronized still images shot by our talented friend, Liam Kennedy. 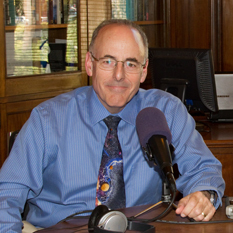 And you can hear a few choice excerpts on this week's Planetary Radio. Just one of the remarkable things about this gathering is how easy it was to get people to participate. Some are people who aren't normally attracted to the spotlight, but who have helped shape our culture and our knowledge of the universe. People like Kip Thorne, Emeritus Richard Feynman Professor of Theoretical Physics at CalTech. I offered Kip two options: Join the conversation on stage, or just send us a statement to read. He replied immediately. He wanted to be there to talk about his friend. 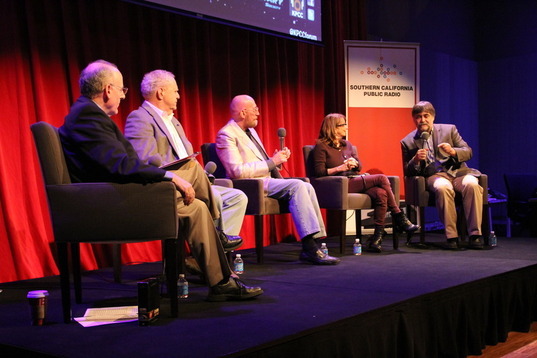 So he was there with us in Southern California Public Radio's Crawford Family Forum. You can hear Kip tell how Carl came to him years ago with a problem--how to get Contact's Ellie Arroway 25 lightyears across the galaxy to the star Vega. This simple question opened a line of theoretical research that continues today, and Kip gives Carl credit for opening it. People like Lynda Obst, the New York Times science writer who felt lost in Hollywood till she was rescued by Carl and Ann Druyan, freshly arrived to work on the Voyager mission and Carl's groundbreaking public TV series, Cosmos. Lynda would end up as Executive Producer of Contact, the movie. She'd also end up dating Kip Thorne for years, thanks to a blind date set up by Carl Sagan. People like Lou Friedman, my former boss at the Planetary Society. Lou was often in the middle of battles between HIS two bosses, Carl Sagan and JPL Director Bruce Murray. Talk about a clash of the titans. Yet these three amazing men managed to create and grow an organization called the Planetary Society. And people who never met Carl Sagan. Four young scientists who represent tens of thousands who decided to devote their lives to science partly because Carl helped them know and feel their place in the cosmos. Okay, that first sentence is partly a lie, since one of our panelists actually did meet Carl once. He lived far down her street in Ithaca, New York. He even signed her Halley's Comet shirt at the Ithaca airport, thanks to the intervention of her mom. I hope I've intrigued you. Listen to the recording, and be thankful that people like these live with us on this pale blue dot. Oh. Cameo apperances by Bill Nye and Neil deGrasse Tyson. Enjoy. The Planetary Society held a special tribute show for our co-founder, Carl Sagan, on what would have been his 78th birthday. Due to technical problems during the event, this video uses the the live-recorded audio overlaid with photos taken by Liam Kennedy. Your wonderful post reminded me of my own Carl Sagan story. Back in July 1994, shortly after fragments of Comet Shoemaker-Levy impacted Jupiter's atmosphere, the Naval Observatory in Washington offered a public program, featuring Sagan. During the Q&A session after his presentation, several audience members asked questions that were mostly technical. Then a 9-year-old boy stepped to the mic and asked Sagan why, if it was made of snow and ice, would a come fragment create a fireball when it struck Jupiter? Beaming, Sagan thundered, "THERE is the making of a GREAT scientist!" It was an unforgettable moment, one I will always cherish.